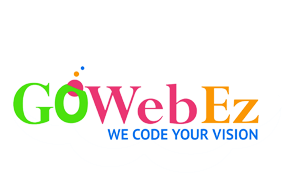 GoWebEz offers web services for a wide range of domains, medium-level enterprises, and start-ups. There is an extensive quantity we offer through our integrated, adaptive responsive approach. Eminent entities are not achieved by impulse but through a series of processes brought together. Here are the steps we take for our development approach. As clients define an interest in doing business with us, our proficient strategists initiate the employment process. Once everyone in the team has an covenant on an idea, all of us dipping ourselves in the venture. After authorization of the project, we progress to the pre-engineering course. This is where we state the root-level structure, widespread analysis, conception strategy, technical consultation, and conclude the specifications with submission of the resource plan. Through the rehearsal of prototyping, we can formulate the right development platforms and structures. Web Design is much more than just the aesthetics. It's about the functionality. We want your target market to endure the paramount experience with your digital business, so we aim on making user experience captivating, compulsive, intuitive and approachable. After approval of the execution strategy, we push towards to the deployment stage. This is where we address the abstract outlook, concluding mission, coding formulation, debugging issues with the frontend code, and complete the requirements with submission of the deployment plan. Through the practice of execution, we can launch the accurate design platform and marketing. Now initializes the real thrill, when you can view your website being brought to reality! We combine the entire designed mockup into action by creating a beta version of your website. Each module of the product is methodically tested and goes through various testing types under multiple devices for a responsive check. Prepare to view your finished masterpiece! After all of the testing has been executed and after incremental quality assurance, our design experts launch the website onto your domain, assuring the passing of the fickle approval process and the standards of the online domain.